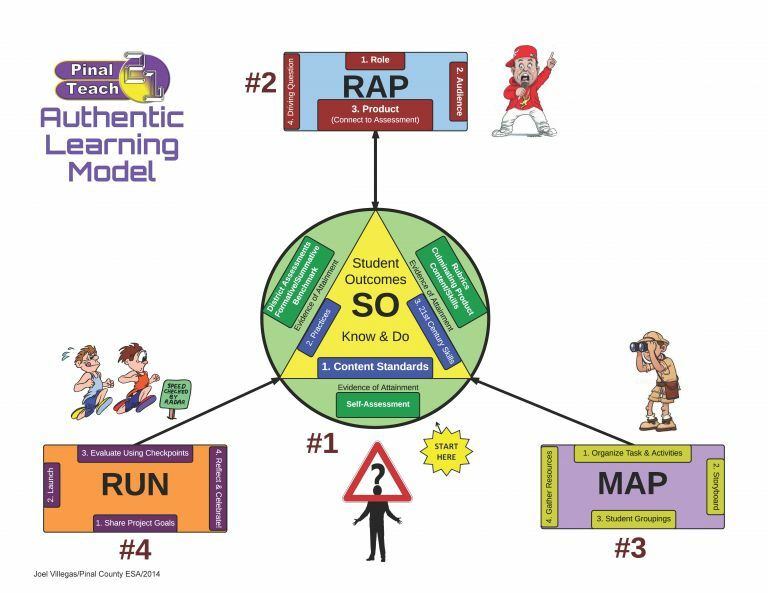 Pinal Teach 21 uses the following model to assist teachers in planning Standards Based Interdisciplinary Authentic Learning Projects for implementation of Arizona College and Career Ready Standards, and other content. Click on the image to view a more informative, interactive PDF. The embedded Electronic Project Planner Template below, follows this model to ensure the intent of a Standards Based Authentic Learning Project. Standards are click to add and suggested Project Ideas by grade level are included to assist teachers in getting started with a project. Go to Industry Partner page to get a list of Industry experts willing to help with your project.